What is the Hazard Mitigation Plan? The Hazard Mitigation Plan (HMP) – sometimes referred to as a Hazard Mitigation Action Plan (HMAP) – is a document which helps the county reduce the impact of various threats faced by the County. The plan update process happens every five years and includes partners in our planning jurisdictions. Having a current Hazard Mitigation Plan makes us eligible for various grant funds from the Federal Government, and helps us be more aware of threats faced by our communities. The current Fort Bend County Hazard Mitigation Plan was officially adopted by Fort Bend County in February of 2018. This current plan won’t expire until February of 2023. All of the cities and villages within Fort Bend County have adopted the Fort Bend County Hazard Mitigation Plan as their own, with the exception of Sugar Land, who has their own plan. 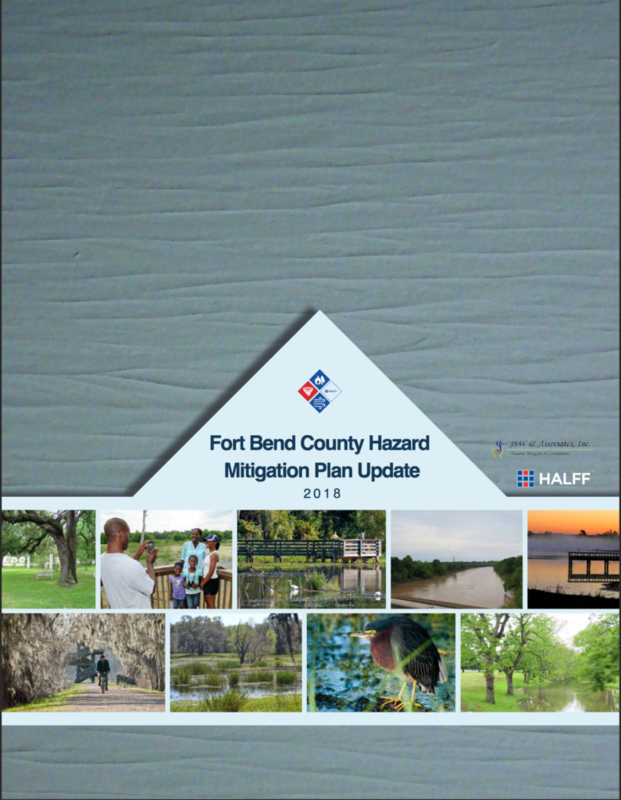 The Fort Bend County Hazard Mitigation Plan is kept current by taking a collaborative approach involving several planning meetings with local jurisdictions and the public. The Hazard Mitigation Plan can be downloaded here.